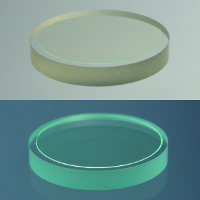 Scintillation crystals processed to thin flat surface plates serve as excellent imaging screens with high spatial resolution. 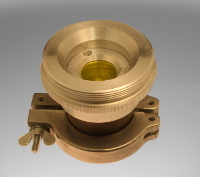 Extraordinary scintillation characteristics, high optical homogeneity, perfect surface flatness and high resistance are the key factors influencing the quality of the resulting radiography or readout. 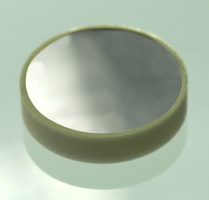 Crytur's imaging screens are most suitable for electron beams, proton beams, low energy x-rays, UV light, VUV and XUV radiation. 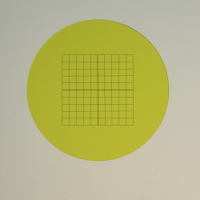 Standard scintillation materials used for imaging screens include YAG:Ce, LuAG:Ce and YAP:Ce. Both garnet materials - YAG:Ce and LuAG:Ce - provide excellent properties for imaging with lower energies. 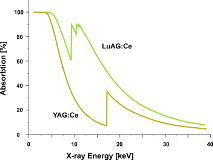 The emission spectra of both crystals make them ideal for consecutive photodiode and avalanche photodiode readout. On the other hand YAP:Ce is suitable for readout in the UV. The use of each material depends strongly on the desired output. We will always recommend the right material to fit your project upon project specification. 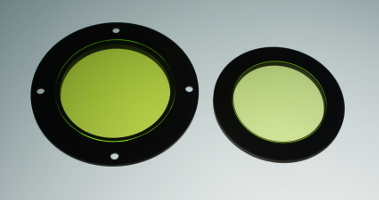 Precise processing allows us to deliver a wide variety of scintillation screens from standard or large diameter screens down to extremely thin screens with only 5 micrometer thickness! We can provide imaging screens in the following dimension ranges depending on the type of the screen. Imaging screens may be either coupled to an underlying substrate with adhesives in order to achieve better optical readout or inserted into frames for easier manipulation. 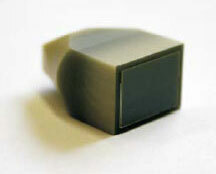 Ultra-thin screens are supplied on substrates only. For easier beam visualisation we can provide customized marking such as a grid, cross or scale on the surface of the screen.